William Frank Hanny was born in Burlington, Iowa in November 1882. There are three different birth days: a profile in the Literary Digest, September 2, 1933, said the day was the twenty-first; Hanny’s World War I draft had the twenty-second, while his World War II draft card said the twenty-third and named his birthplace. Hanny has not been found in the U.S. Federal Census records for 1900, 1910 and 1920. Hanny’s obituary named two surviving sisters, so, with this information, I was able to find his parents, who were Gustaf, a German emigrant, and Louisa, an Iowa native. …Educated in a grade school and the Free Public Library After five years in a sawmill heard that people got money for writing jokes. Acquired an old typewriter and found that the same was true. Discovered later that a comic picture would sometimes sell a weak joke; so learned to draw. Hanny’s army draft cards revealed that his left hand was missing four fingers, possibly related to his sawmill employment. “Some people, chiefly the higher art critics, say that there’s nothing to the cartoon and that it is passing away,” said Mr. Hanny. “But if this is so the publishers of the newspapers have not yet found it out. At any rate they are giving more and more attention every year to the cartoon as an entertaining and instructing feature of their journals. A collection of his cartoons were published in book form, Looking Backward: Being Cartoons from the News-Press, St. Joseph, Mo. From 1922 to 1924, Hanny said he was in St. Paul, Minnesota, as a cartoonist and art editor on the Pioneer Press. The 1923 St. Paul city directory listed him at 622 Grand Avenue and an artist with the Dispatch & Pioneer Press. The next year his address was 636 Grand Avenue. 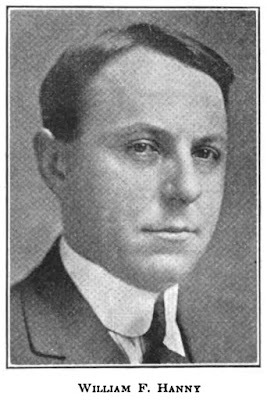 According to Hanny, he moved to Philadelphia, Pennsylvania, in 1924, and was editorial cartoonist of the Philadelphia Inquirer. In 1930, Hanny and his wife resided in Swarthmore, Pennsylvania at 119 Yale Avenue. His home was valued at $15,000. In the Literary Digest, Hanny said: “Have no hobbies except a deep aversion to bridge and golf.” (A 1932 cartoon is here.) The Times said after ten years with the Inquirer, Hanny spent two years with the Chicago Herald-Examiner and a year with the New York American. (The original art to one of his cartoons is here.) His cartoons were syndicated through King Features. In 1937 he retired. Hanny’s address was the same in the 1940 census. He continued as a cartoonist, having worked 40 weeks in 1939 but earning no income. The Times said Hanny contributed “prose to the old Life and Judge magazines…a student of the life of Abraham Lincoln and an authority on Mark Twain.” Retired or not, he also did a comic strip, Hoyman, that was published in early issues of the Chicago Sun, which was founded in 1941. According to American Newspaper Comics (2012), the strip ran from December 4, 1941 to March 7, 1942. 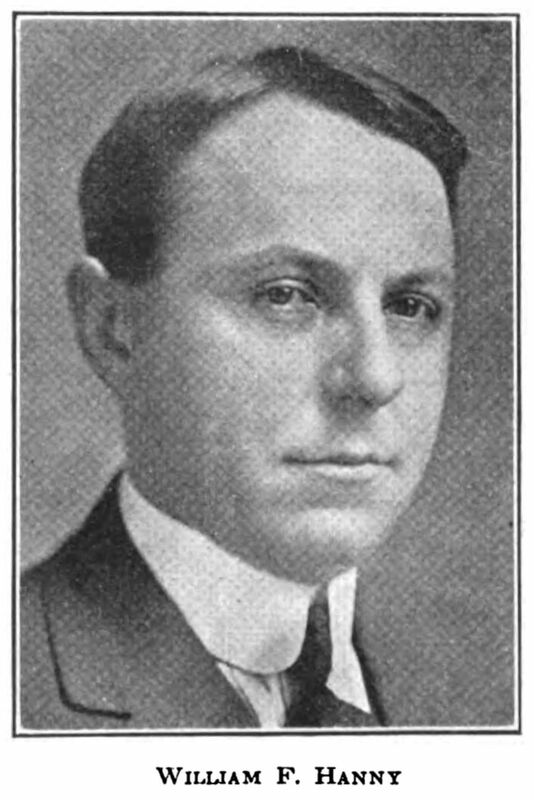 Hanny was one of the cartoonists who drew the daily panel Noozie, which ran from 1915 to 1995. The panel was unsigned or, at times, had the initial H.
Hanny signed his World War II draft card, April 27, 1942, which said he was retired.